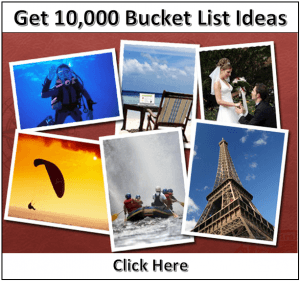 There are 100 days left of 2016 –make the most of them. Remember all those goals you set at the start of the year? Chances are, there are at least a couple of those resolutions that you haven’t gotten around to. And time is running out. On September 23rd the countdown begins: it’s day number 1 of the last 100 days of the year (I can hear a few gasps). Declutter and organize your space. 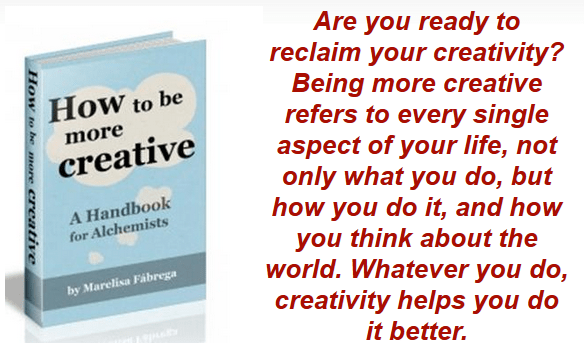 Create an additional source of income. 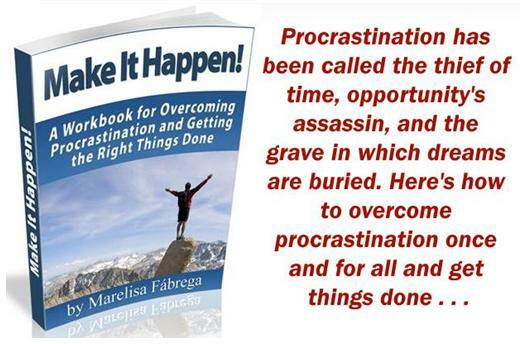 Whatever goals you haven’t gotten around to yet, the most likely culprit is procrastination. 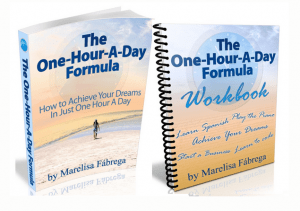 Not to worry — in this post I’m going to tell you what to do so that you can overcome procrastination and make the most of the 100 days left of the year. Let’s get started with a fantastic TED Talk given by Tim Urban, a person who didn’t begin writing his 90-page senior thesis until 72 hours before it was due. 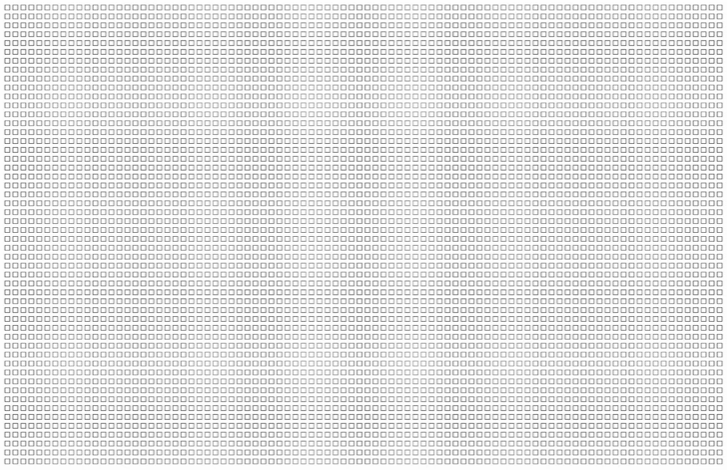 It’s titled, “Inside the Brain of a Master Procrastinator“. Below you’ll discover what Tim has to say. 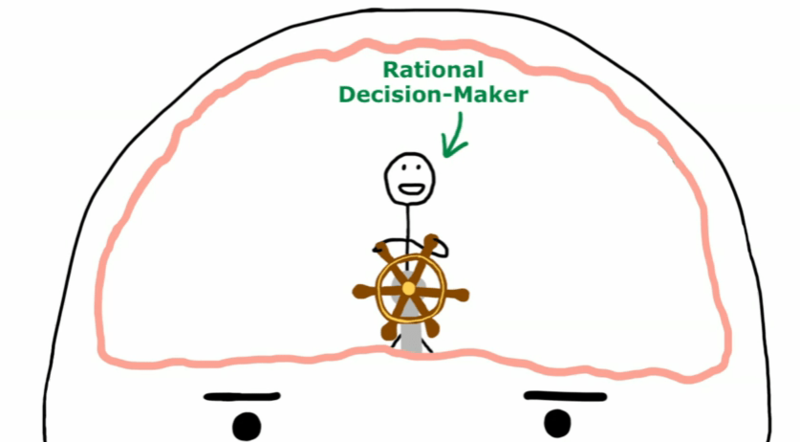 As you can see, both brains have a Rational Decision-Maker standing at the helm. 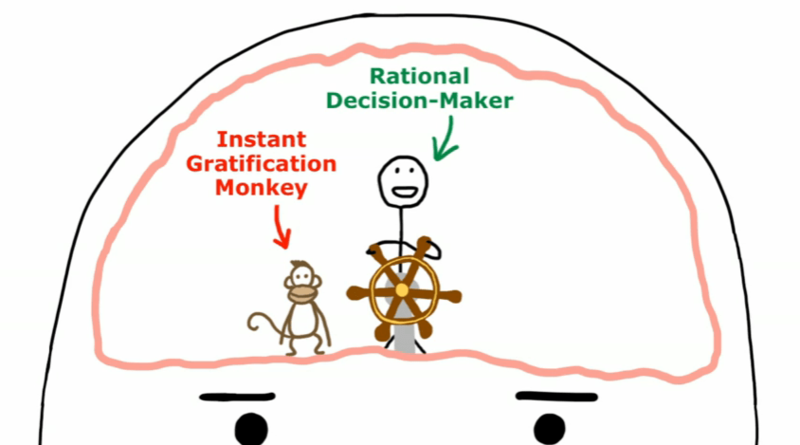 However, the procrastinator’s brain also comes equipped with an “Instant Gratification Monkey”. When the procrastinator wants to get to work on an important goal, the monkey–almost invariably–grabs hold of the wheel. Reading about Albert Pierrepoint, a hangman in England who executed at least 400 people. Brushing up on the Spanish Civil War. Walking to the corner drug store to pick out a new shade of nail polish. Watching the best of late night comedy on YouTube. Going through Pinterest to see what great DIY projects have been pinned by others lately. The monkey perceives the task is going to be difficult. The monkey feels overwhelmed by the enormity of the task and doesn’t know how to get started. The monkey knows that there’s a lot riding on doing well on the task and gets performance anxiety. The monkey thinks the task is going to be really boring (and the monkey hates being bored). 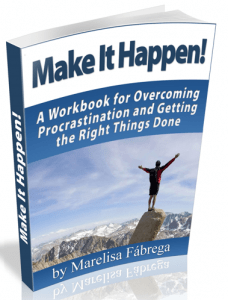 So, with the Instant Gratification Monkey at the wheel, how does the procrastinator ever get anything done? The procrastinator finally manages to get things done when a third character enters the picture: the Panic Monster. 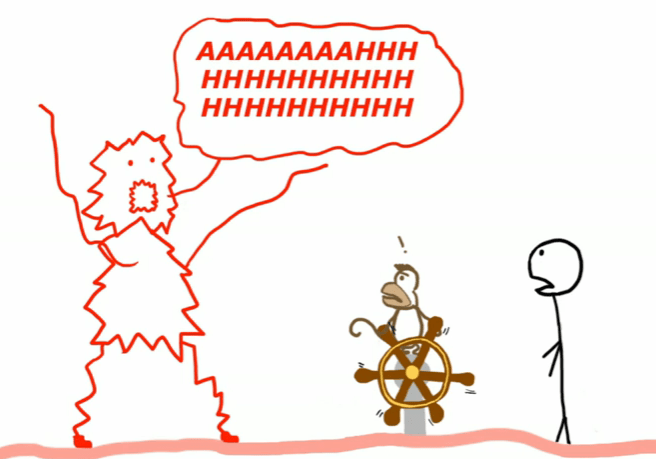 The Panic Monster is the only thing that the Instant Gratification Monkey is scared of. When the monster appears, the monkey runs for the hills. With the monkey out of the way, the Rational Decision-Maker can finally take back control of the wheel and get to work on the task at hand. This is how procrastinators tend to get things done. This is their system. It’s not a particularly good system, but, in the end, things get done. You decide to learn a new skill. 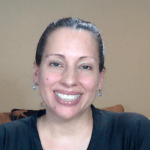 There’s a MOOC that caught your eye and you decide you want to take it. You want to write a novel. You would like to lose 15 pounds so that you can look more fit and trim. 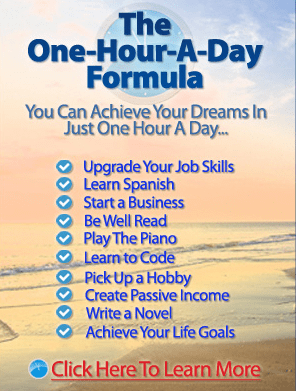 These are all things you would like to do, but there are no dire consequences–like failing a test or getting fired from your job–if you haven’t achieved these goals by “X” date. Therefore, the Panic Monster–aka, your savior–doesn’t get involved. Which means that these goals never get achieved. 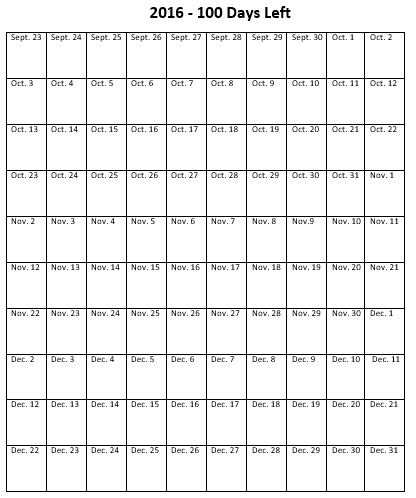 In the next section you’ll discover what to do with the 100-day calendar. 1. Look back at the resolutions you set at the start of the year. Which are still unfinished? Pick one of your unfinished resolutions. 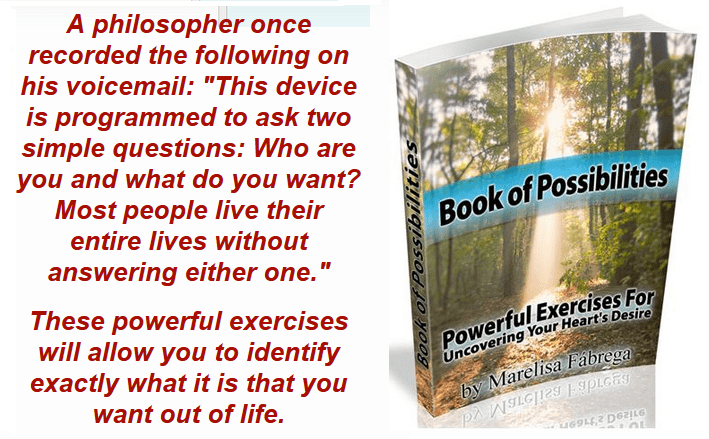 You should be able to finish the resolution that you choose in the next 100 days. If your chosen resolution can’t be completed in the next 100 days, pick a different goal or make it smaller so that it can be completed in 100 days. 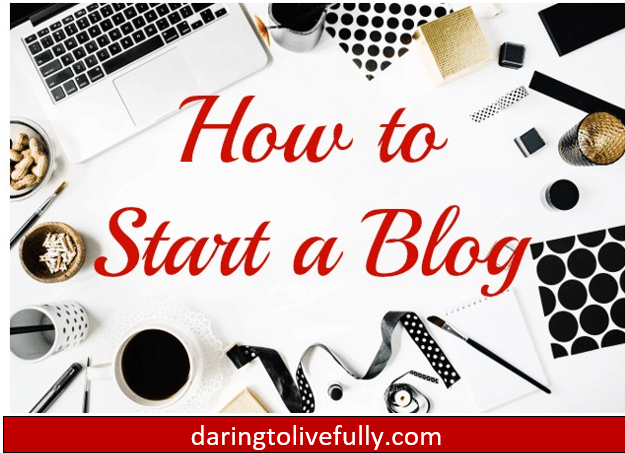 Vague wish: “I want to write an eBook”. 3. 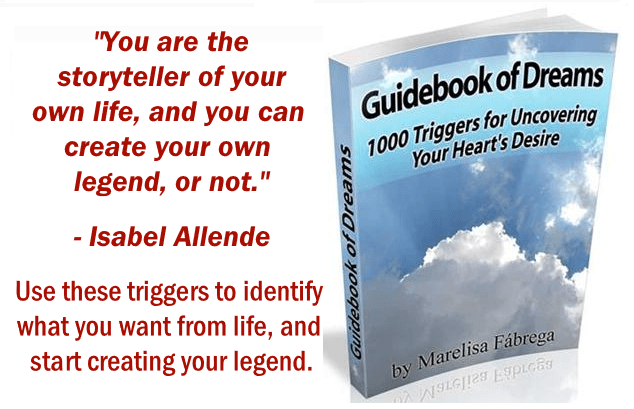 Set December 31st as the deadline for achieving your goal. 4. 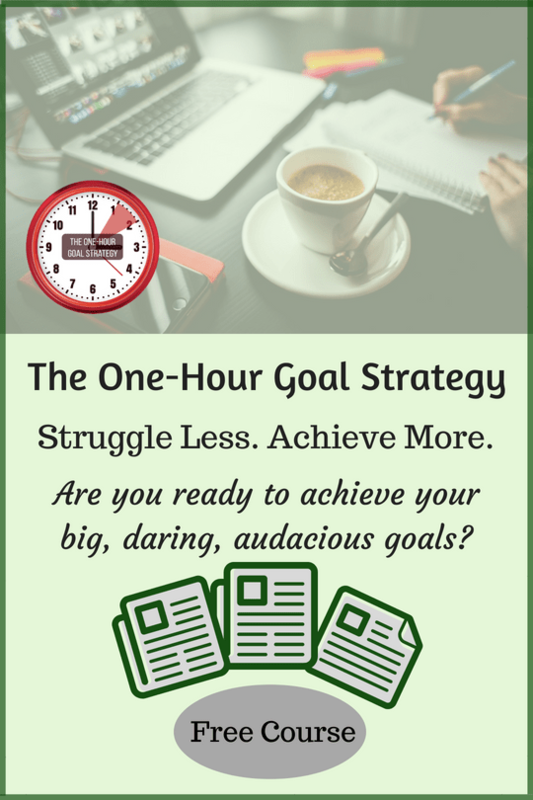 Resolve to work on your goal for one-hour-a-day from September 23rd until December 31st. 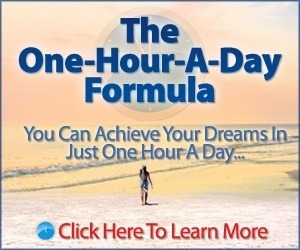 Make sure that you pencil your one-hour-a-day into your schedule. 5. 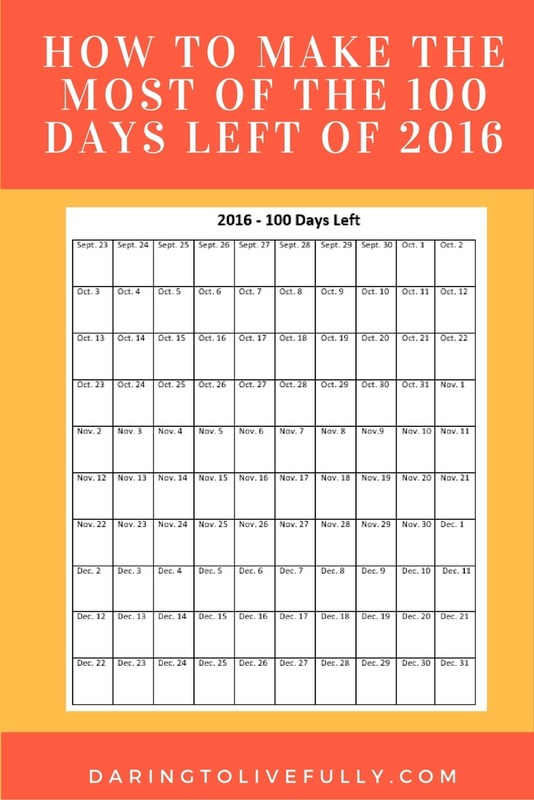 Print out this 100-day calendar and put it somewhere visible. Every day that you work on your goal put a little check mark, an “X”, or a star in the box for that day. As Jerry Seinfeld would say, don’t break the chain. Make sure that the goal that you’re going to be working on is meaningful to you. Make the process of goal-achievement as much fun as possible. Find a way to hold yourself accountable. The other day I mentioned to someone that soon there would be just 100 days left of 2016. That person said to me, in a tone of voice filled with regret, “Yes, the year is almost over.” I answered, “There’s still time to get things done”. And there is, as long as you stop procrastinating and get to it.